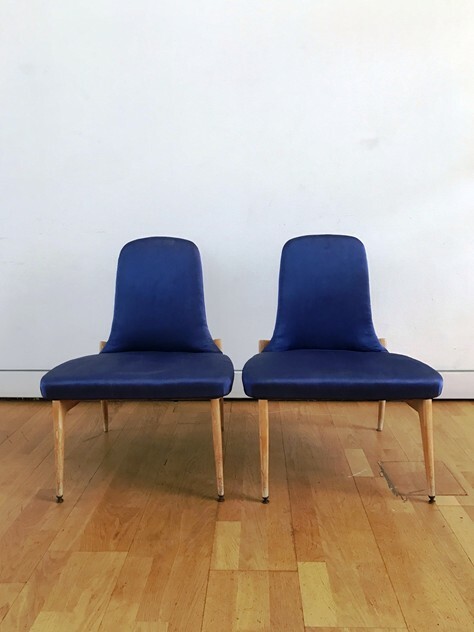 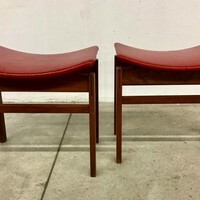 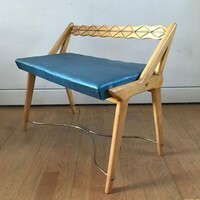 1950s pair of low armchairs / side chairs by Silvio Cavatorta in maple wood and fabric. Original condition, they will need to be polished and recovered. 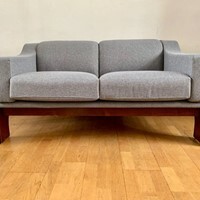 Dimensions are :cm 74 H. by cm 58 D. by cm 58 W. Seat H cm 37.